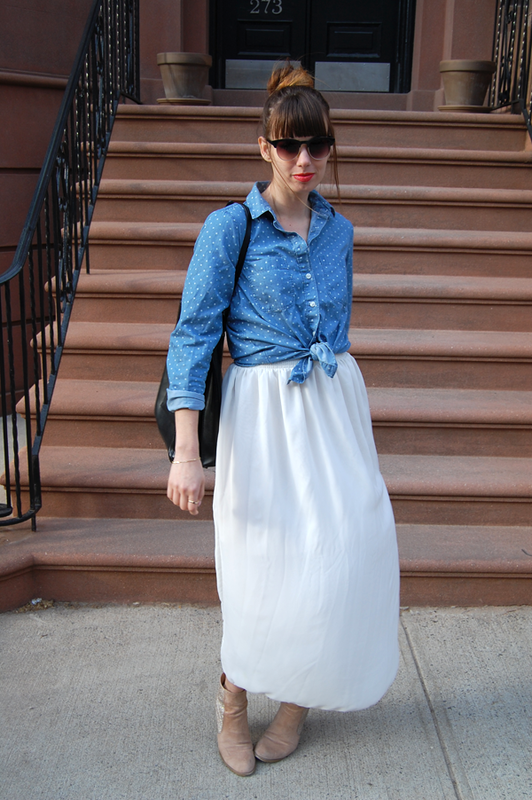 I wrote a post way back called "A Lesson in Wearing a Button Down with a Maxi Skirt" (read here), so I thought it would be fun to resurrect this post and show you guys one of my favorite ways to wear a button with a maxi skirt for a casual spring Friday. 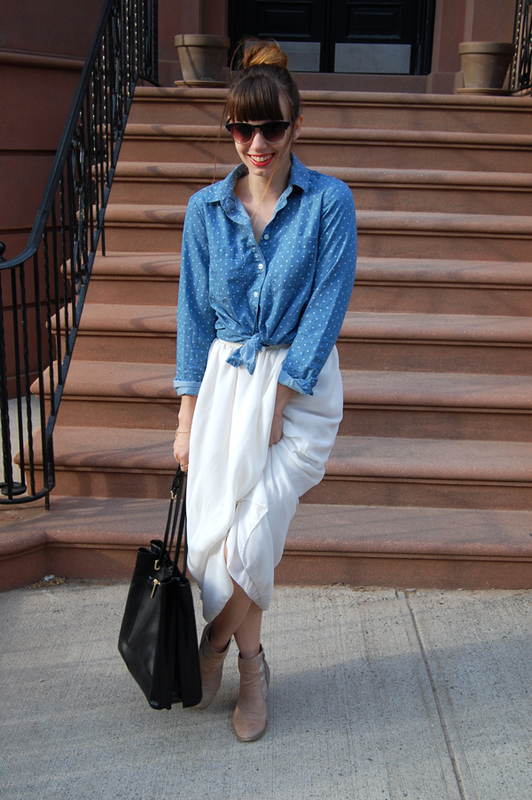 This look is not only fun for a casual Friday in the office but also perfect for brunch with friends. When tying your shirt in the front for a work look remember you don't want to show any midriff so do a high waist skirt, or if it's elastic hike it up a little bit above the hip. 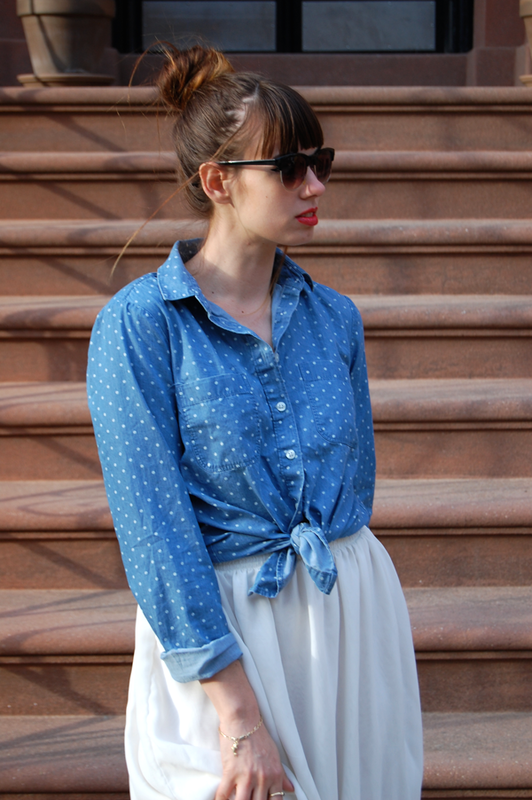 Tie your shirt right at the band of your skirt. This will help prevent from baring your midriff! Would you give this look a try for a casual day in your office? I LOVE this look! Great for casual Friday.